*** NO TENANCY FEES *** SUPERB ONE BEDROOM GROUND FLOOR APARTMENT WITH PRIVATE ENTRANCE, COURTYARD GARDEN AND ALLOCATED PARKING This light, airy and well presented property offers fantastic accommodation with the added benefit of allocated Off Road Parking, a Private Entrance and a Courtyard Garden - all within a short walk of Tonbridge Main Line Station and the High Street. Private entrance to Open Plan Living space which included Lounge area with storage cupboard, and a modern and well appointed Kitchen wit part tiled walls; range of eye and base level units incorporating single drainer stainless steel sink unit with mixer tap; built in oven and hob with extractor fan over, and integrated washing machine. 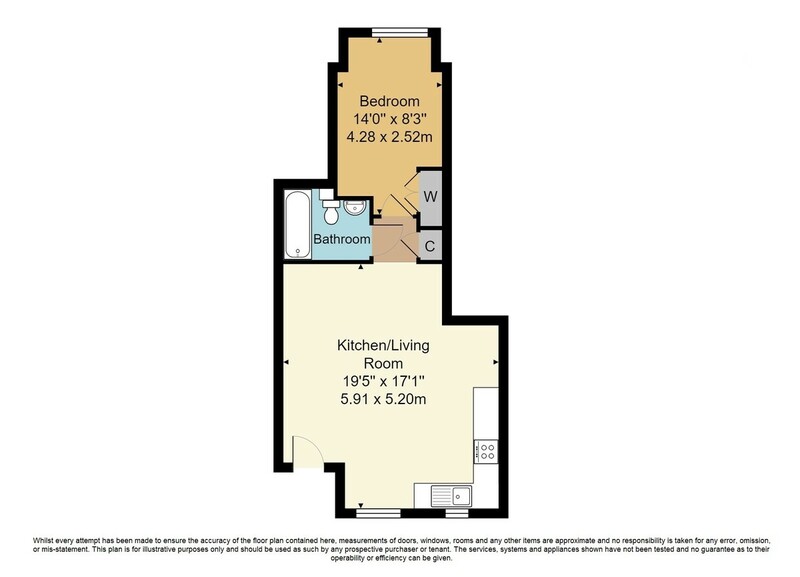 Double Bedroom with built in wardrobes, and Bathroom fitted with heated towel rail; low level WC; pedestal wash hand basin with mixer tap; panel enclosed bath with mixer tap and shower attachment. The property has one allocated parking space and a good size private courtyard garden. The property is situated in the vibrant town of Tonbridge which offers an eclectic mixture of bars, restaurants, shops and of course Tonbridge train station offering fast and frequent services to central London. The town is well served regarding schooling for all ages with a wide range of primary, secondary, grammar and a number of public schools. Recreational facilities in and around Tonbridge include Haysden country park, rowing and river activities, Tonbridge indoor/outdoor swimming pools, Angel leisure centre, the annual summer carnival; plus the historic Tonbridge castle which offers many more activities and numerous popular yearly events.